What if you invested your daily latte money? The numbers might surprise you - and have you think twice about your spending habits. You could save around $170,000 for retirement by investing $20 a week. 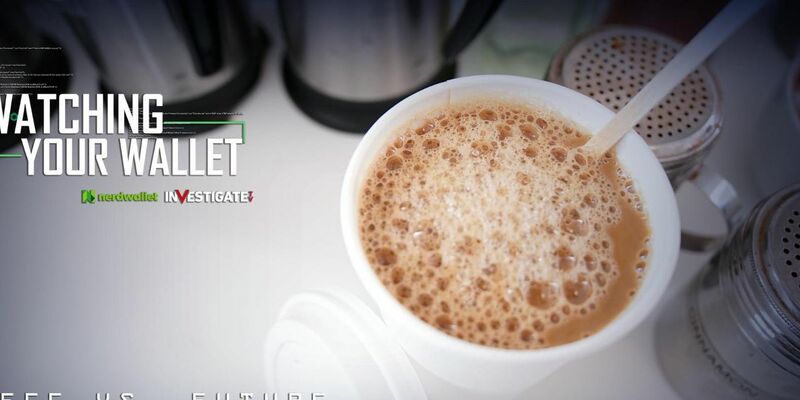 RICHMOND, VA (InvestigateTV) - Coffee: it’s a must in the morning for many of you. But one in three Americans spent more on coffee last year than they invested according to a recent survey from a money app. For many, the day begins with the habit of spending on a cup of Joe to go. “Yeah, I drink about a half pot of coffee before work, and every day I get my iced coffee, and I may get another one on my way home,” said Robert Grow of Richmond, VA.
“A Venti is what I require! Which is going to be $6.50 a day,” said Jo Planter of Chesterfield, VA. Comparing real life with the Game of Life, the idea is to save up for retirement and have money left over - while still having some fun along the way. All of that coffee can add up. For example, if you spend $20 a week on coffee, that works out to $1,040 a year. If you were to invest that instead, at an annual rate of 6 percent, you’d have an extra $170,000 for your retirement. But if you just kept drinking that coffee, you’d eventually have spent $41,600 on drinks with nothing to show for it. Of course, it’s not just your cup of coffee: lots of little things can add up fast. Do you have more house than you can afford? Should you refinance? More car than you can pay for monthly? Are you taking multiple vacations a year instead of saving for retirement? O’Shea said those are the expenses that are really going to sabotage your saving. “Going and buying that coffee, if it makes you happy, then cut back somewhere else. It’s just important to be mindful,” O’Shea said. O’Shea said saving and spending is all about balance and planning. Cutting out a specific thing might make sense for one person but not another. She said the problem isn’t the coffee, really - it’s buying things without thinking about them and ignoring how those purchases can add up. So finding $20 to save from anywhere in your budget, whether that’s coffee or something else, can help. “That’s the beauty of a budget, right? People think budgeting is so restrictive. It’s like this dirty word, like dieting, but the beauty of a budget is your actually giving yourself permission to spend on certain things,” O’Shea said.